" Jan the man " Me and my Husband have bought and sold our previous house quick with Jan. He has always been very professional and knowledgeable about the market and the process. He goes above and beyond being a real estate agent. I would recommend him to anyone interested in selling their home or in buying a new one. With our experience we very happy and blessed with the job he did to us. I cannot say "Thank you" enough to Jan Gillespie for helping my husband and I find a home here in Texas. Our daughter encouraged us to contact Jan as he had helped with the purchase of her first home. Even though my husband and I knew we wanted to purchase a home in the Magnolia area, Jan was as willing as ever to help us look at properties an hour away from his office area in Katy! I so appreciated his willingness to drive us to see several different homes in the Magnolia and Tomball areas. We came up this way more than once! As my husband is from a building background having spent many years both building and inspecting homes, I know that we had our moments of feeling very particular about the quality of home we were looking for. Jan hung in there and kept pursuing the right home along with us. Always encouraging and optimistic that we'd find the right place. Jan was very personable and caring. Very professional about returning our phone calls and keeping us informed as we went through the purchasing process. Jan was there to help negotiate and support. We were so happy when our closing day finally arrived! Thank you again for helping us get through it all! Your sincere kindness will not be forgotten. I loved working with Jan. As a single mom and first time home buyer, I had a wonderful and very easy experience. I trusted his decisions and recommendations and he always went out of his way to accommodate my schedule. I definitely will refer anyone I know looking for a home to him. Thank you Jan! Jan was amazingly helpful, he consistently went above and beyond in the service he provided. We would completely recommend him as a Realtor without reservation. He treated us like we were his only clients, every call and email returned promptly, every question answered almost before we could ask it. If you need a Realtor, look no further. We just love Jan! He has helped me sell/find 3 houses. We feel like he is a part of the family. :) He always has a positive attitude and has soooo much patience! 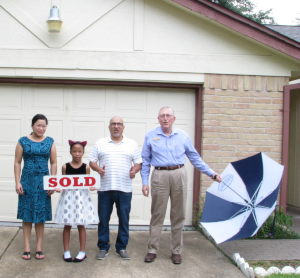 We were genuinely impressed with Jan. His professionalism and knowledge of the real estate market impressed us and made the move to Katy a smooth transition. Our entire family appreciated the hard work and patience he showed us. Jan is truly the "Man". "A pleasant and memorable experience"
Hello we are the Gonzales Family. My name is Joe; my wife is Maribel and we have 3 children Autumn, Bailey and Travis. On behalf of my family and me we want to express our thanks to Jan for the person he is. We moved 3 times in the past 8 years and let me tell you, Jan made our moves to and from Houston and back to Houston from San Antonio smooth and painless as possible. We have been very pleased with Jan. He is not only a great realtor, but a great FRIEND with the passion and drive to help you buy or sell your home. Once again, Jan thank you for the person you are. We had such a pleasant experience working with Jan. When he says you become family, he truly means it! Our quest to buy our first home was an interesting one as my husband Zach works offshore & I was the main searcher for a home. Jan is the hardest worker I know & would give 100% of his attention to us when searching for our perfect home. I have recommended Jan to a friend whom successfully bought a home right down the street. I will continue to recommend Jan and look forward to working with him again. Thank you for the amazing buying experience and continued friendship! Thanks again for all your help. 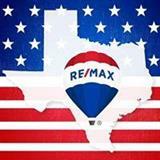 Since working with local agent in Austin, our admiration and respect for you has grown that much more. You da' man! Or should I say Jan da' Man! Anyhow, thanks again for your friendship and all of your hard work and personalized effort. Almost there! Making an offer on a smaller home in Bastrop, hopefully we find something soon. "He literally gave us all the advice and resources necessary to feel comfortable choosing and purchasing our first home." The way we met Jan "The Man" Gillespie was thru a friend at work, who boasted that he was the best realtor. My friend and his family had been working with him for years. 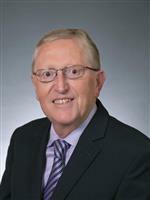 Jan "The Man" Gillespie came to the rescue when I told him how dissatisfied my wife and I were with the realtor we had been working with. From the beginning he was up front with letting us know all our options. He gave us all the time necessary in order to make the best decision. Once we decided what exactly we wanted, he was there for every question or concern we had. Jan "The Man" assisted us with all the aspects of purchasing a home which included choosing the best home for us, loan process, walk thorough, home inspection, and closing. We know he did more for us than any ordinary realtor would do. What we always appreciated from the beginning to the present was his way of doing things the right way. He literally gave us all the advice and resources necessary to feel comfortable choosing and purchasing our first home. We thank Jan "The Man" Gillespie and his team for making this a great experience for us!